Flirting is a part of life and apps to help you do it are now a part of life as well. Using your smartphone to meet new people is casual, easy, and fun. That being said, flirting apps don’t always keep their promises. 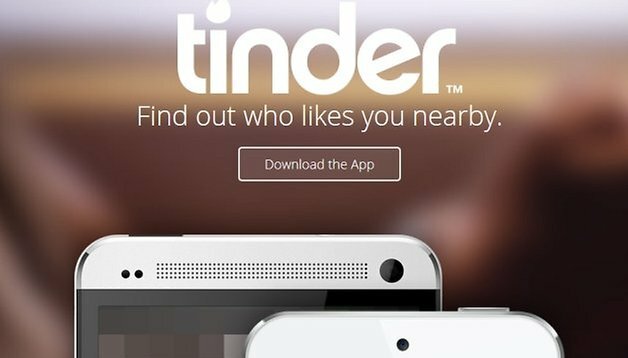 Is Tinder the exception that will genuinely fulfill its purpose? We tested the application to see if it will really find who likes you nearby. Tinder works simply on the principle of Hot-Or-Not. The app is tied to Facebook, so there is no need to create a new profile and you can get started right away. Tinder uses the profile pictures from your Facebook account, so it may be that you will have to change what’s there or limit the amount to see. Your location is determined using GPS to show you other users and the radius can be adjusted. Tinder also lists any common interests and Facebook friends and then it is up to you to make a choice with two simple buttons - an X for dislike and a heart for like: are you interested in the person, or not? Then, as soon as you’ve decided, the app will take you to the next profile: Tinder doesn’t spend much time on details. Let's be honest, we are all a bit superficial. Inner values ​​or not, we are first and foremost interested in looks. Tinder lets you easily click away one image at a time: you will be shown likely candidates much faster than in speed dating, and you can be as shallow as you like. Only when mutual interest is expressed by you and another candidate does Tinder connect you with someone. With the app, you can chat with that person and how much you want to tell them about yourself is of course up to you. You should definitely be cautious when chatting with strangers on the internet though. Íf what’s going down in conversation is not to your liking, you can also simply abort the connection and click on through profile pictures. Tinder’s user interface is clear and tidy and focuses on the essentials, namely the evaluation of profile pictures. There are two buttons which are easy and efficient, allowing you to quickly express whether you are interested in the person or not. The keyboard is only used for sending messages after a connection is established. Controls and interaction within the application are set to an absolute minimum and it becomes increasingly more fun as you check out profile pictures and chat with people of interest. Tinder ran smoothly, without any lag or crashes. The demands on your Android smartphone are relatively low. It isn’t here to present you with a challenging game, but merely a fun flirt app to interact with real people. Tinder is available for free, so you can’t beat the price-performance ratio. Who knows, maybe you will find the love of your life which is priceless (awwww!). I personally have always treated apps for flirting and dating contemptuously, perhaps because they have not brought me any luck. Until now I have had no success with Tinder, which in turn does not necessarily have to do with the app, but rather my profile picture on Facebook. In any case, it is worth noting that Tinder is fast and easy to use. You can get started right away thanks to the simple concept and intuitive interface. Tinder always offers exciting entertainment and fun, and sooner rather than later you will find a conversation partner. What you make of it is up to you. Before I conclude my review, here’s a little warning to heed: Tinder has a few dangers. During the testing period, I noticed some scammers with fake profiles. If your chat buddy acts funny, makes absurd suggestions, proposes a dubious meeting or sends you a questionable link, you can use the block button to ignore the person as well as report them if necessary.